I have just been designing (and making) 'sound wheels' (using alphabet sounds, digraphs and trigraphs). 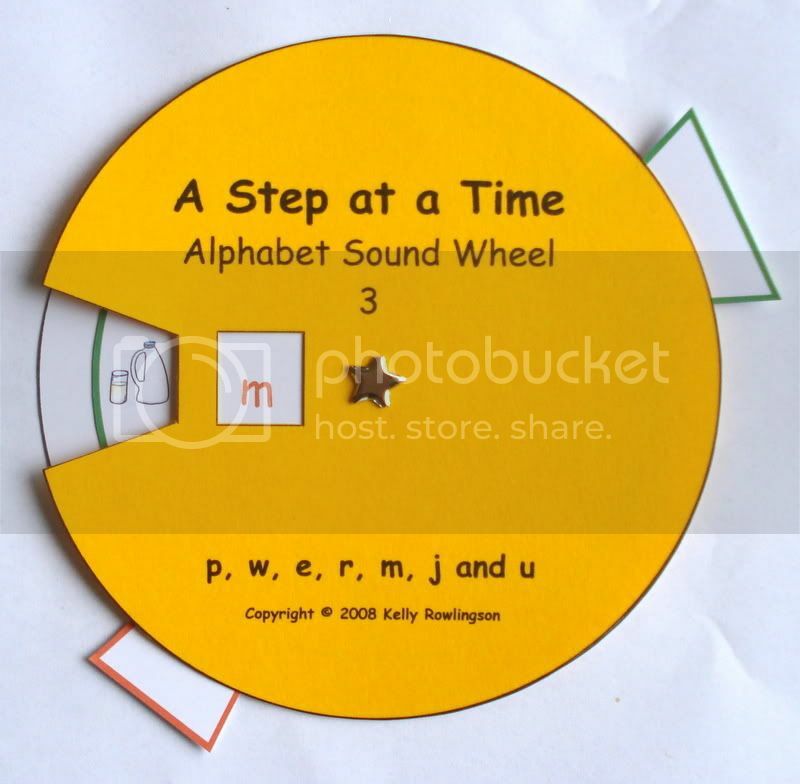 You know the sort where the child can turn the wheels to change the picture/text? My idea behind them is just to provide another novel approach to learning the sounds. What I didn't know is whether these sorts of things would be handy to anyone else. I realise this is a 'decodable section', but I thought I could provide the template for others to make some (in keeping with their own programme). If you think it might be helpful then I will find a way of sharing the template, if you don't I won't bother because of the extra work involved! Here is a photo of one of mine to give you an idea of how it works. They are 16cm circumference.